In 2016, adult publisher ALS filed a complaint against Cloudflare (a US CDN provider). ALS highlighted the significant damage done to its profits by the rise of online piracy. It alleged that as a CDN, CloudFlare is aiding and abetting such pirate sites, helping them to thrive, as reported by Torrent Freak. Part of CloudFlare’s expected defense is the safe harbor provision of the Digital Millennium Copyright Act (DMCA). The DMCA is meant to protect copyright holders from illegal piracy by enabling them to send takedown notices requesting sites to remove allegedly infringing content. However, the safe harbor provision also protects online service providers (e.g CDNs) from liability for the activities of their users (in this case, that’s the pirate sites); but only if the providers take affirmative steps to meet the stipulated takedown requirements. ALS believes CloudFlare shouldn’t be covered under this provision. As the case heads to trial, CloudFlare seems to keep its safe harbor defense. But Judge Wu’s March ruling indicated the court disagrees with some of CloudFlare’s arguments. 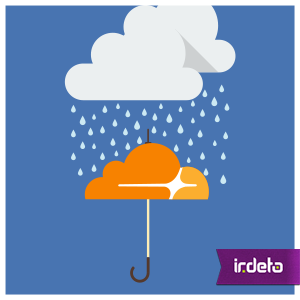 The court ruled the existence of cache copies of infringing material can be sufficient evidence that CloudFlare assisted in the alleged copyright infringement. It’s worth noting that this interim ruling doesn’t draw any conclusions about actual infringement. ALS still has to convince a jury that specific images were in CloudFlare’s cache without permission. If the jury supports the ALS claim, it will open CloudFlare up to similar complaints from other copyright holders. It will also set a precedent, putting other “online service providers” at risk of legal action. And let’s not forget the impact on the DMCA safe harbor defense itself. Should the court find in favor of ALS, it could force a revision of the DMCA. For instance, to clarify the role of intermediaries in the overall process. It could be argued that such change is long overdue – after all, the Act was signed in 1998 and the online world has evolved significantly since then. What is certain, is that this case has the potential to be a game-changer in the battle against online pirates. This entry was posted in Media & Entertainment and tagged CDN, CloudFlare, content redistribution, Digital Millenium Copyright Act, DMCA, Irdeto, online piracy, piracy. Bookmark the permalink.